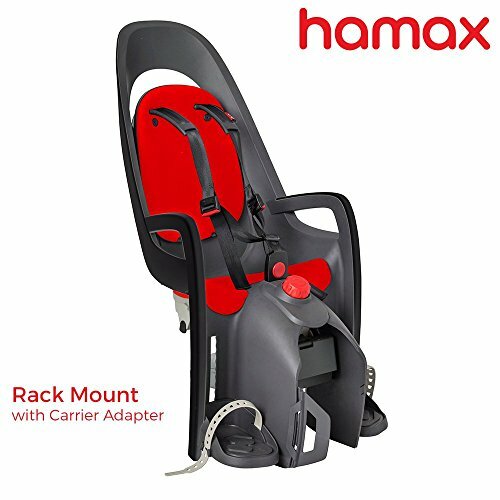 Rear mount seat for children 9 mo - 48.5 lb; All adjustable features designed for single-hand operation to ensure stability. 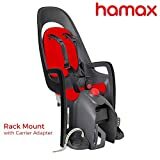 Ultra-shock absorbing Frame Mount style (fits bike frames 28-40 mm) or Rack Mount style (fits cargo/rack carriers 120-180mm) with anti-theft locks. Safety-certified, award-winning Scandinavian design; Meets tough European and ASTM safety standards. Reclining seat for sleep positions from 0-20°; comfortable design allows room for helmet.